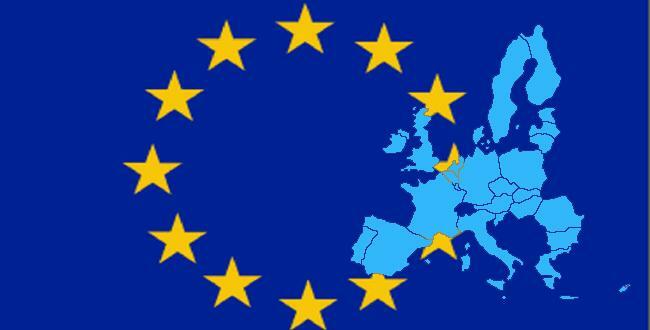 Introduction: Is the EU Integration Model Viable? Alessandro di Battista, deputy of Italy’s Five Star Movement that helped to defeat the government’s Constitutional reform proposal in December 2016, has hinted that voters decide a possible exit from the euro-zone during the next election for prime minister. This may or may not take place, but Italy remains a possible candidate for exiting the euro. This hardly comes as a surprise after the referendum revealed a decidedly anti-EU sentiment amid the banking crisis and economic stagnation the country is suffering. Is the EU on the eve of disintegrating, or can it survive without England and Italy with other countries to follow? Does it really make much difference if it dissolves, considering that countries will forge bilateral and multilateral trade, investment, environmental and other agreements? Is the current EU integration model viable for all its members or merely for Germany enjoying economic hegemony over the euro-zone? Founded on the inter-dependent integration model, the EU led by Germany adopted the patron-client model once the great recession began to impact the banks requiring massive capital injections. Intended to raise GDP and living standards in the periphery countries that joined the euro-zone, the inter-dependent integration model was replaced with the patron-client model on which NAFTA and other US-dominated Inter-American trading blocs are based. The goal was for the hegemonic country to capture greater market share under low tariffs and low asset values ranging from labor costs to raw materials. Under the aegis of Germany, the EU adopted the patron-client model in order to remain competitive on a world scale by transferring capital from the periphery to the core through austerity measures as well as neoliberal policies. These measures entailed the considerable downsizing of the public sector that sold public assets to corporations, lower wages and benefits, deregulated market in everything from pharmacies to transportation, lower taxes and loopholes for big business while small businesses found it more difficult to compete because their taxes and costs of doing business were higher. Because it imposed on its members budgetary deficit restraints as part of the neoliberal economic course, the EU forced its members to eliminate the state as an agent of stimulating growth in the periphery countries. There are many ironies in all this, but I will only mention two as glaring examples. First, privatizing public utilities and selling them off while eliminating public service jobs was self-serving for the core countries where the private companies were based. Interestingly enough, France, for example, that had tried privatizing water, had such a bad experience that it reverted back to public control, given the issue was both of cost and health. Second, behind the change in the integration model and neoliberal policies were some of the most corrupt banks in the world, including Deutsche Bank which is still waiting to find out the amount of fine imposed by the US Justice Department – originally $14 billion, but still in negotiations for a reduction. These multinational corporations driving policy not just in the EU but across the world and backed by the IMF and World Bank brought immense pressure on the periphery to adopt austerity measures that further wrecked fragile economies and made them more vulnerable to foreign economic dominance. The illegal and fraudulent practices of banks included not only deceptive practices in residential mortgages and fixing rates, but money laundering, tax avoidance and terrorism financing, all of which the EU Commission has admitted drained capital from state treasuries and undermined the economies. The “Panama Papers” of the law firm Mossack-Fonseca revealed that major banks including many in the EU were deeply involved in illegal activities including transferring funds into offshore companies where money is hidden from tax authority. People are well aware that tax evasion by the wealthy entails that the tax burden falls disproportionately on the middle and lower classes. The EU, member governments, and the financial elites expected the average citizen to bail out the banks in the aftermath of the recession in 2008, never raising the option of fair and shared sacrifice. Concurrent with the change in integration models was the very clear and sharp decline in the social welfare state and rise in corporate welfare and neo-liberal policies that transferred income from small businesses and professionals that make up the middle class. Governments also launched an assault on labor unions and workers with the goal of exacting concessions on wages and benefits, diluting collective bargaining and strike laws, and imposing longer working hours. The argument was that workers were to blame for the recession because they enjoy generous wages and benefits. By embracing anti-labor and anti-middle class policies, governments of conservative, centrist, and Socialist parties across Europe began to lose credibility that the social contract at the national and regional levels was working for the benefit of all people. For their part, the EU, member governments and its apologist argued that downsizing the social welfare state and lowering living standards from the broader working and middle classes was necessary to remain competitive with East Asia where wages were low. Globalization under neo-liberal policies resulted in a sociopolitical reaction across Europe and polarized the electorate looking for alternatives to the mainstream parties. However, the ultra right wing was far more serious in opposing the EU than the non-Communist left running on reformist platform but invariably co-opted by the neoliberal establishment. Italy’s referendum defeated by both the reformist left and the extreme right was the latest example of voters rejecting the government’s anti-labor neoliberal corporate welfare policies intended to concentrate capital in the name of ‘saving the ailing banks’ while calling it ‘reform’ as though it is beneficial for the majority of the people. On 4 December 2016, Italian voters dealt a major symbolic blow to neoliberal-corporate welfare policies that the EU has been imposing across the continent since the start of the great recession in 2008. Voters rejected Prime Minister Mateo Renzi’s proposals for a stronger executive and a weaker legislative branch intended to push through neoliberal and austerity reforms that large banks and corporations demanded at the expense of smaller businesses, the middle class, and workers whose living standards have been on a steady decline since 1994 and accelerated after 2009. In 2006, Prime Minister Silvio Berlusconi tried a similar reform of the constitution of 1948 but he did not have any better luck than Renzi ten years later. The goal was a stronger executive to pass legislation that would benefit big capital within the EU. With the decline of the middle class came lower living standards for workers and higher poverty rates, with more young educated Italians leaving their country for a better job; a process that will accelerate in the coming years regardless of whether Italy stays or leaves the EU. Italy is the Euro-zone’s fourth largest economy and the world’s eighth largest in nominal GDP along with Brazil. Interestingly enough, like Brazil, Italy has major structural problems. Its rising public debt is at 133% of GDP, but without the large informal economy estimated at $233 billion in 2014, debt to GDP ratio is closer to 150%. This is accompanied by unemployment of 11.6 percent, or three times higher than Germany’s but half of what Greece and Spain. Unlike Greece which has no industrial sector of any consequence and relies heavily on imports while suffering from unsustainable public debt and high chronic unemployment and underemployment, Italy has a solid industrial sector that offers some hope for its massive public debt problem and banking crisis. To address both the public debt and banking crisis, Renzi, backed by finance and corporate capitalists as well as the entire weight of the EU establishment, proposed a corporate welfare scheme to transfer income from the middle and lower echelons of society to the banks and corporations. This was intended to keep the banks under private control by injecting public funds, rather than nationalize them. The prime candidate for nationalization is Banca Monte dei Paschi that has failed stress tests and it has considerable international links that could have consequences for the entire banking industry in Europe. Recapitalization and ridding itself of bad loans required more time than the ECB was willing to permit the bank to raise an estimated at 5 billion euros. That the ECB rejected Monte Paschi request for state bailout just a five days after the referendum meant inevitable losses for shareholders and bondholders as well as Italian taxpayers. Of course the prospect for some EU assistance remained a possibility because of the domino effect fear across the EU. Against this background, if the US Justice Department imposes a heavy fine ($14 billion) on Deutsche Bank it would mean the only way to save that bank would be for the German government to bail it out and that would then set off another round of crises across the EU. The political attempt to resolve Italy’s banking crisis suffered a temporary setback because the anti-austerity, anti-EU Five Star Movement opposed Renzi’s proposals along with the nationalist right wing xenophobic ‘Lega Nord’ (Northern League). For different reasons, all political parties opposed Renzi’s constitutional reform proposal, but it was the populists of the left and the right claiming victory over the neoliberals who represent international finance capital and the multinational corporations in Italy and in Europe. It should be kept in mind that former prime minister and billionaire Silvio Berlusconi, who in 2006 tried the same constitutional reform tactic as Renzi, sided with the Lega Nord against Renzi. This illustrates that not all Italian capitalists favored existing EU policies and the integration model, just as not all British capitalists favored remaining in the EU that they perceived as German-dominated. Renzi announced his resignation because it was a clear defeat of his policies and a resounding rejection of the disastrous road that southern Europe has been following under the aegis of EU and IMF since 2010. Nevertheless, in the days after the vote, EU stock markets rose sharply and the euro did not lose its value as a reserve currency as the neoliberals had been warning to scare voters into supporting Renzi’s policies. Short-term stock market speculation aside, the reality of Italy’s GDP growth close to zero, youth unemployment at 40% right behind Spain and Greece, and an economy about the same size as in 2000 hardly speaks well for Italy’s progress under the aegis of the EU. There are many dimensions to the Italian vote. I would like to focus on the following. 1. Why did Renzi call for the referendum? By substantially reducing the size of the senate, it would be easier for the executive to pass ‘austerity and neoliberal reforms’ through the Chamber of Deputies. The changes would entail hastening the process of tax and labor reform that would in effect weaken labor and transfer income from the broader social classes to the banks and larger corporations. Italian banks carry a disproportionate number of unserviceable loans – roughly one-third of EU’s bad loans for an economy inexorably linked to the rest of the EU and suffering a growing public debt. Because the investment in Italian banks goes beyond the country’s borders, the banking crisis poses a major risk to financial stability in the EU unless reforms are enacted that would in essence transfer funds to strengthen the banks at the expense of the social welfare state and the working class. The insolvency of the Italian banking system will drag down with it the EU banking system under the ‘contagion syndrome’ that links the EU financial system, unless Germany permits the EU to inject billions to save the banks thus further driving down the value of the euro. 2. Why were public opinion polls wrong as they were in the case of the UK referendum and the US presidential election? By now people across the entire Western World cannot take seriously public opinion polls because in 2016 in three different countries the corporate media has been wrong about election results. First, the case of BREXIT clearly showed that public opinion polls were either manufactured or the polling companies deliberately preselected a targeted audience for their questionnaires, so that they could achieve the desired result and influence the undecided voters to join the fictitious majority. More or less the exact same thing took place in the US, although one could argue that Clinton won the popular vote and still lost the Electoral College. Italy represents the third case in 2016 where public opinion polls were wrong leaving people to wonder if this was part of a pattern reflecting the interests of corporations backing a certain politician, political party or policy. It is one thing for polls to be off by the typical margin of error (3 to 5%) and another to be completely off the charts as in the case of BREXIT, USA, and Italy. If indeed they conducted honest polling, then one would think that they would be reconsidering the flawed method of research. However, it is hardly coincidence that corporate public opinion polls are not intended to reflect how people will vote but to influence the result. In short, polls have lost credibility as much as the biased corporate media that will go to great lengths to mold public opinion in support of neoliberal and corporate welfare policies as the panacea for the masses. 3. Was the Italian referendum a ‘personal issue’ and ‘insignificant’ as many European officials and corporate CEO’s contended? There were also those who argued that the vote reflected societal shifts within the country about national sovereignty and the EU’s role in hindering growth and development. It was amazing to watch various European TV programs where Italian and European corporate representatives and EU officials argued that the vote meant essentially nothing and ‘reforms’ (anti-labor, neoliberal and corporate welfare) must continue as though the peoples’ vote was a futile exercise. Some argued that Italians did not vote to leave the EU as did their British counterparts in summer 2016. Others insisted that the vote was meaningless because it was all about personalities, namely Renzi vs. Giuseppe “Beppe” Grillo of the Five Star Movement and Silvio Berlusconi representing the populist right wing. Still others noted that this vote simply meant a more flexible policy toward the Italian banks by the European Central Bank. Some noted that the vote is not as serious because populists on the center left led by Beppe Grillo could never come together with the rightist populists of the Northern League. Therefore, the era of coalition government in Italy simply means a weak state that permits neoliberal and corporate welfare policies to prevail. 4. Did the Italian referendum weaken the EU and the neoliberal and globalization course or was it a brief pause until the establishment political forces with the backing of big capital mobilize for a new strategy of co-opting both the League of the North and the Five Star Movement? Russian politicians hailed the vote in Italy’s referendum as a blow to EU unity, but that may have been wishful thinking because the blow was not to the head of the EU integration model. Nevertheless, no matter how much lipstick and makeup EU apologists of globalization and neoliberal policies try to apply on this little pig, it is still a pig and voters across Europe see it as such. This is the reason that a percentage of them turned to populism on the right or the left, leaving an increasingly weaker centrist arena to become more right wing by embracing xenophobia and racism. In short, this is not just a matter of the banking crisis but a crisis in bourgeois democracy. 5. Do the Italian referendum, the US election of Trump, and UK exodus from the EU indicate a rising tide of right wing populism undermining globalization and neoliberal policies? It is indeed possible that we could see increased support for economic nationalist measures across the EU if the US goes that route as Trump has indicated. However, the structural course of globalization, neoliberal policies and corporate welfare are so deeply grounded in the political economy that it will be very difficult to reverse course. The symbolism of right wing populism is actually more important in so far as periphery EU countries may opt to follow this path that Trump and Putin hail as the new trend. Because the structure of the economy will remain essentially the same in the near term, living standards for workers and middle class will not improve and people will keep moving away from the centrist parties and toward the left or the xenophobic right, a phenomenon not just in Italy but across Europe. As long as the EU represented the possibility of higher living standards and a higher quality life, people regarded integration in appositive light. Once the evidence began to show very clearly that the EU was a mechanism for the hegemony of big capital at the expense of the rest of society, the EU’s appeal began to decline. This manifested itself in right wing populism and ultra-nationalism across the continent, especially in Eastern Europe but also in France and Great Britain. Although Communist and non-Communist leftist political parties have expressed adamant opposition to globalization, neoliberal policies, and the patron-client integration model, political momentum rests with the right wing that has been riding the populist wave across Europe. Imminent Demise or Temporary Setback for the EU? Contrary to many analysts warning of Italy sending the EU into chaos if it voted against Renzi’s proposed reforms, Italy’s prospects after the vote are about the same after the referendum as before. Considering that the banking crisis of Italy can be dealt within the EU by an injection of both European Central Bank and Italian government capital combined with private and consortium investment, stability is possible although at a heavy cost to taxpayers. Moreover, despite the referendum, neoliberal and corporate welfare policies at the expense of social welfare will continue in Italy as they have in Greece, Spain, Portugal and much of the EU since 2010. Given the relative absence of inflation in the EU, and the European Central Bank’s projection that inflation will rise from 0.5% in 2016 to just under 2% by the end of the decade, the policy of monetarism (keeping a strong currency by tightly controlling the money supply) has been responsible for capital concentration, low jobs-creation climate, and income redistribution from the middle class and workers to the top ten percent of the wealthiest individuals across Europe. Speculation by many academics, journalists, stock market analysts, and politicians that the EU is on its deathbed seems motivated more by ideological and political factors in some instances or trying to influence securities speculation in other cases. In most instances, people simply analyze headlines circulating around the mainstream media. This is not to suggest that the EU is not at its nadir since the Treaty of Rome in 1957, not that the EU is more stable after the Italian referendum than before. However, it is one thing to argue that the EU is indeed suffering a crisis, and it is entirely another matter to underestimate its resiliency because of hasty analysis or because analysts are paid by firms speculating on the euro and/or bonds and stocks, or for ideological and political reasons. Contrary to alarmist rhetoric from people in different ideological camps, as the world’s wealthiest economic bloc with NATO backing up its political and economic global reach, the EU is not in imminent danger of disintegration. Despite setbacks it suffered in 2016 with the United Kingdom leaving, Italy in serious banking and public debt crisis, and Greece remaining in permanent austerity mode after six years of EU-IMF measures that have only made the economy much worse than it has been at any time in its post-military Junta era (1974-present), the EU can revive assuming Germany and France modify the patron-client model of integration and dilute corporate welfare and neoliberal policies that have wrecked the economies and undermined bourgeois democracy. BREXIT was indeed a major blow to the regional economic bloc, but the UK was never part of the euro-zone and its economic role will continue with some modest modifications that will result in higher indirect taxes for the consumers. Considering the performance of the stock markets across Europe, including England since BREXIT, the alarmist rhetoric about UK leaving the EU now appears overblown and indeed politically motivated to persuade UK voters to stay. Not just biased media reporting, but biased public opinion polls proved that big capital was determine to go to great lengths in support of maintaining the integrity of the bloc. The barrage of EU threats against Britain were also revealing about the lengths to which big capital and its political backers will go to oppose any model of economic nationalism, even if that model continues with aspects of neoliberal and corporate welfare policies. The Italian referendum was a major setback for multinational corporations, banks and neoliberal-corporate welfare advocates. However, it is a stretch to argue it signals the beginning of the end for the EU. The doomsday rhetoric about the consequences did not materialize immediately as the pro-EU forces claimed and the European Central Bank as well as central banks of individual member nations is prepared to support the regional bloc with injections of capital. Because Italy’s banks need time to recapitalize and Moody’s rating agency changed Italy’s outlook from stable to negative, short-term stock and bond speculators influence the entire political landscape about EU’s dim prospects when combined with the reality of a rising anti-EU right wing xenophobic tide across Europe. The current ECB 80 billion euro a month of bond purchases continued until March 2017 and scaled back to 60 billion until December 2017 is intended to stimulate growth in a sluggish regional economy. Monetary policy is a major tool that keeps the regional bloc viable. Considering the modest GDP growth of the core members of the EU, combined with the stronger than expected revival of China’s economy in the second half of 2016, the world’s largest trading bloc will remain strong but still wobbly in the next five years. Neither BREXIT nor Italy referendum will bring down the EU, but the glaring contradictions within the regional bloc will. One such contradiction is that members share a common currency and each member government must abide by certain fiscal policy restrictions despite the obvious uneven structure of the region’s economies. It defies rudimentary logic that import-dependent southern and Eastern EU members share the same hard currency as Germany that is a major industrial power on a world scale. This contradiction points to further problems that will only become worse under the current patron-client imperialist model which further strengthens the strongest members at the expense of the weaker ones. Europe’s ‘periphery economies’ (Southern and Eastern Europe) cannot sustain long-term growth and be regionally or globally competitive under a hard currency, fiscal and trade restraints imposed by the EU intended to continue with neoliberal policies, and an integration model designed to strengthen the strongest members at the expense of the weaker ones. Nevertheless, the large companies and capitalists in the regional economies share common interests with their northwest EU counterparts and they enjoy considerable political influence in their respective countries’ political decision to stay in the EU. Besides the scenarios under which the EU will dissolve revolve around the inescapable contradictions of the regional bloc, as I noted above, there is also the political decision of the larger members to end the bloc under pressure from national elites advocating greater national control of the economy and society. Unless Germany and France as the largest members and pillars of the bloc since the 1950s decide that it is time to end integration because their national economies would be better off, the EU will continue to exist until the next global recession. Even if the EU dissolves after domestic and regional political and economic pressures because it will cease to serve the majority of the people, a new integration model of European trade-financial realignment will replace the existing one. Geography cannot change any more for Europe than for the Western Hemisphere. For the near future, there will be some policy modifications at the national level and by EU at the central level in Brussels to accommodate the rising tide of right wing populism and critics from the left demanding to save the social welfare state. It is inevitable that the pro-EU political parties would be able to mobilize support and win elections because they will move closer to the positions of their right wing populist political opponents. Alarmist rhetoric is in long supply by political element on the extreme right because they espouse nationalism inseparable from xenophobia and racism. They see EU integration compromising their national sovereignty and they use the migration issue as a fear mongering tactic. Encouraged by the rising xenophobia amid the wave of Middle Eastern and North African migrants, Marine Le Pen of the French National Front and other ultra-nationalists across Europe has been riding the wave of anti-EU populism but with limited success as the elections in Austria showed in December 2016. The containment of the far right is partly due to the conservative parties adopting some of the right wing rhetoric and espousing the platform of the far right, especially talking tough about migrants, blaming largely non-white, non-Christian immigrants for all the problems facing the white Christian continent. The transition from the EU inter-dependent model of integration to a patron-client imperialist model that Germany espouses will eventually precipitate the downfall of the EU from within as the regional bloc is the cause for massive wealth concentration and increased social and geographic inequality. Considering the widening gap between the few wealthy and the increasingly squeezed middle class and workers, there will be more social and political instability forcing people to choose between the populist right wing political camp and the varieties of center-left and left political parties. There are many positive elements about European society that enrich it and make it unique in the entire world and permit it to make worthy contributions to its citizens and to the world. Those include the absence of capital punishment and respect for human rights, openness to global cultural influences, diversity of newspapers and political parties representing the entire political/ideological spectrum from the far right to the far left, identity with the nation-state and the EU, to mention just a few things that make EU members more democratic than many other advanced nations, including the US where authoritarianism has become mainstream and not just because of Trump who only reflected prevailing trends and took advantage of them to secure election to the presidency. There are also very dreadful elements of European policies. Those include the expansion of NATO and huge defense budgets in the post-Cold War era intended to carry out direct and covert military campaigns with the US as the senior partner under the pretext of ‘the war on terrorism’. The direct consequence of such militaristic policies have been jihadist attacks on innocent people in European cities, which in turn has entailed a sharp rise in Islamophobia and xenophobia as the platforms of conservative and extreme right wing political parties. These scapegoat issues distract from the core ones that concern the integration model and social order responsible for the downward mobility in Italy and the periphery member nations. Naturally, the mainstream media and politicians reinforce xenophobia by the manner they cover related issues, thus contributing to public distraction from the core issues. Given the current economic, and sociopolitical trends, Europe will find itself at some point in the not too distant future in the same course toward authoritarianism as the US. In a continent that has experienced Nazism, Fascism, and varieties of authoritarian regimes in the last century the signs are evident that indeed history is not a steady Hegelian line of progress but one of regression that reflects the irrational in human nature.